So I’m suffering a little from post-vacation stress disorder. The one where you come home and there aren’t doting relatives taking care of your children’s needs anymore, and as a result they have turned into little monsters, plus you are so angry that it’s snowing again that you could spit, and getting back into your old boring routine just bites. Other than that though, things have really been alright. Today was nuts, but despite the chaos, I feel good that I did manage to get a few things done. I’ll share my greatest success in a minute (because it might just be something you could love too). Anyway, everytime for the last two days that I ask my children to do or not do something, I have recieved one of three responses: 1) They argue. “But, I just want to…”, 2) They whine. “Nooooooo. 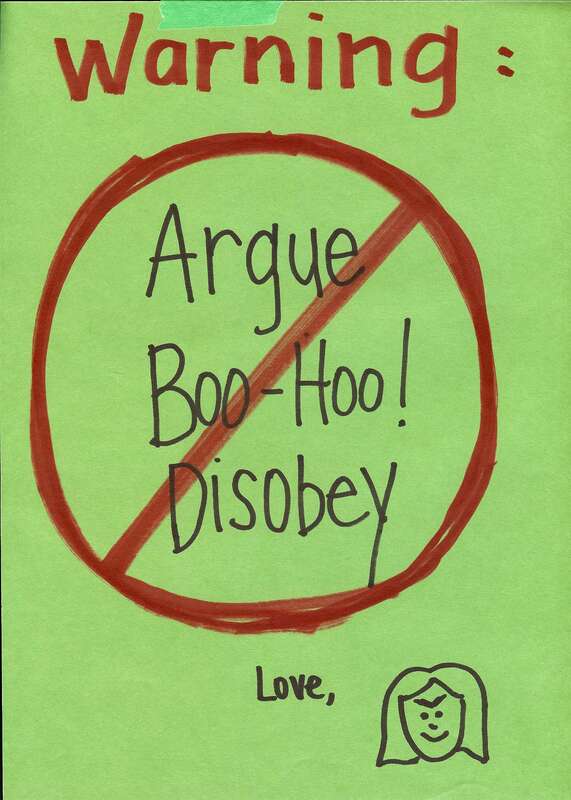 That’s not fair (each word becomes three syllables).” or 3) They flat out disobey. “Hmmph!” (then proceeds to do what I just told them to stop). So I’ve had enough of that. And I am convinced that this is why Heavenly father saw fit to give me children. I had totally unchallenged and undeveloped patience. Except for particularly hard weeks on my mission in Argentina, or the year that I taught high school Spanish, my patience by and large had not been tested too much. But then I became a mother. And I think about my son’s kindergarten parent-teacher conference where Grant’s teacher told me “Continue to challenge him in these (such-and-such) areas,” and I can’t help but suspect that in my heavenly parent-teacher conferences, God is making similar plans for me– plans to challenge me in areas where I could stand to grow, even excel. Especially in the area of patience. So the good thing I got done today was making six pans of baked ziti for the monthly Make-ahead Meal Exchange I have at my house. It’s awesome. We get together and swap meals and walk away with 5 new dishes made by friends. We eat a snack, share our recipes, and hang out and talk. Let me know if this sounds remotely intriguing to you, and I’ll draft up a future post with all the details of how we make it work. Don’t forget to vote for your favorite limerick. I hid the results because I’m wicked and controlling like that, but there are several that are neck-to-neck for the lead. « So WHO’s the fool? That meal exchange sounds amazing! I might have to start one up! Yay! I get another post from you today!! I LOVE the sign. And I love the idea of Parent-Teacher conferences with God. Makes me wonder what he’s cooking up for me to be challenged with next. I have done similar signs. I have also told the children that I needed a time-out because I was having a temper tantrum and that they couldn’t disturb me while I was supposed to be being punished. (Those measures only worked once) Patience. I have been learning that for a long time. I want my learning-to-be-patient experiences to hurry up and be over! Oooo…I need to make one of those. Emma has been pulling all three of those responses lately too. Please, please, please may the snow be gone soon! Today I told my sister I have “winter rage.” She agreed. Oh my gosh, the sign thing is sheer genius. And your description of how it springs into existence was hysterical. Can you imagine how different “The Ten Commandments” would have gone if Cecil B. DeMille had had Jehovah going, “scribble, scribble, tape, slap”? This made me laugh. I think you’re right and that’s just how it really was, especially when he had to write them a SECOND time after that whole golden calf incident. Love the sign. I should have made one last night. Then maybe my throat wouldn’t be tired from all the lecturing. I seriously think you could make a million dollars putting that sign into print to sell to moms–or even better: T-SHIRTS! I would so totally buy one! Sheer genius. I made a new ‘No More Messes” rule. Anytime monkey moo spills his drink, or boo-boo dumps out all the marble tracks from the bin, I say “Remember our new rule. No More Messes! !” I’ll let you guess how that’s working out for me. Totally need details of food exchange. Wow, if that works, let me know. You’ll make millions! I definitely need to re-create your angry mom sign. Maybe get it laminated too. That way it will last longer. And even if thet pointing to the sign catches their attention, it is well worth it! Boy, I really must have less patience than most people because it’s constantly being tested. Haha! I always refer to the time right after we get home from seeing the grandparents or having the grandparents at our house as “detox”. You seriously have to suffer through the process of getting all of that spoiling out of their system. It isn’t pretty. Yes! I think “detox” is just right. I just spent ten minutes trying to convince (read: screaming and yelling and turning into Monster Mom) my two-year-old to not run around naked. My sister and I are in a make ahead meal group too! I have really enjoyed it, but it is so hard getting ready for it. We have 10 people in our group- 6 sounds a lot more manageable. Do you guys have a certain budget that you follow? Do you use certain cookbooks or just freeze your own recipes? (I’m always looking for more good freezer meals!) I mainly use the book, Dinner is Ready, and my sister uses The Girlfriends on the Go book. Ooh, good to know about those books, I’ll have to check them out. Ours is pretty simple. I’ll have to post more about it. Maybe I’ll try the sign and see if that works. I eventually threatened to take all their toys, box everything up, and make them earn them back one by one. I like your idea better. I totally feel your 1-2-3 pain. Totally. I second the idea to have your sign made into a t-shirt…I would wear it everyday.